Newest developmentin the now trending North Beach Village area ineast Fort Lauderdale. 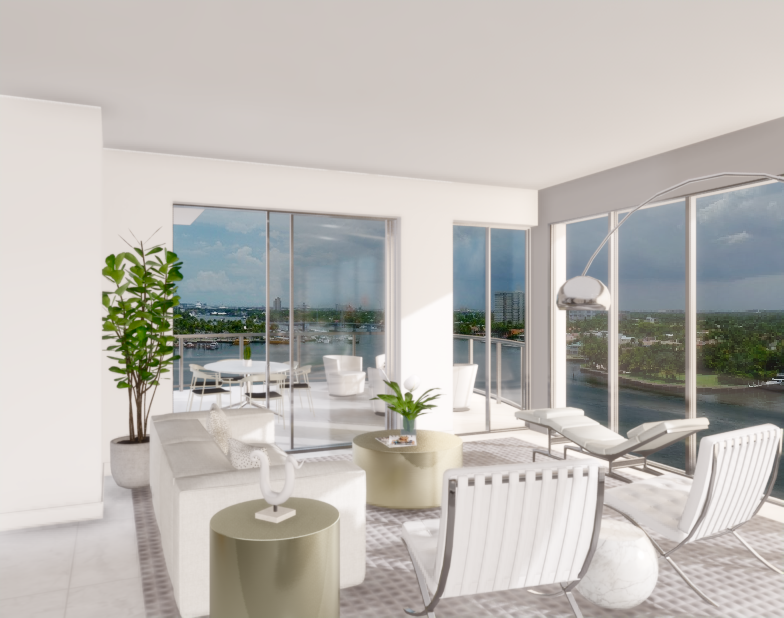 You will experience breathtaking panoramic views of the IntracoastalWaterway, Atlantic Ocean and Downtown Ft. Lauderdale skyline. Blendspost-modernistic details with a cutting-edge contemporary design. Flowingarchitectural waves merge with fresh composition, branding as a unique icon along theIntracoastal Waterway. Features23 luxurious units spanning across 11 stories, spacious floor plans withsoaring 9.2-foot ceilings and floor-to ceiling impact windows and glass doors.Residences are technology-ready and offer deluxe culinary kitchens, largewalk-in closets and over-sized balconies with glass railings boastingexceptional waterway vistas. Homes will be delivered completely finished. Offersdeep water yacht slips with ocean access and no fixed bridges for 4 privilegedowners. Stay active with the state-of-the-art fitness center and heatedsaltwater pool, or entertain friends with a barbecue beneath the royalpalms. Providesa one-of-a-kind lifestyle. It is within walking distance to Ft. LauderdaleBeach, fine dining, shopping and day spas.